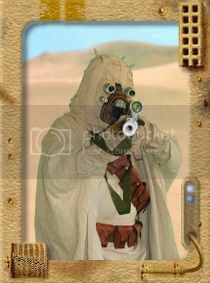 Please welcome our newest Tusken Raider to the Garrison DZ4943 Rubber. "I can't see a thing in this helmet." Science! Because figuring things out is better than making stuff up.